When it comes to nutrition, there are few things more important than macronutrients. This is due to the fact that macronutrients make up the large majority of what we eat. What are macronutrients you may ask? Read on to find out the basics on macronutrients and why they are so important. Strictly defined, macronutrients (or macros for short) are: "a type of food (protein, carbohydrate, fat) required in large amounts in the human diet." (1) Macros make up the majority of what we eat on a daily basis. There are three macros: protein, carbohydrates (includes fiber) and fat. There have been trends over the years that usually push or restrict one of the macros. If you think back to the 90's the trend was low-fat, early 2000's it was low-carb and now in 2018 the trend seems to be towards high-protein, whereas carbs and fats are on the back burner. 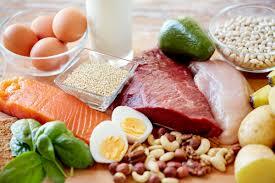 Being that it is a popular topic of nutrition conversation we will start with protein. The main function that is focused on in the fitness community is protein's role in repairing and building muscle. It is important to eat adequate protein to ensure you are able to recover from exercise. Protein is also a large contributing factor to the feeling of fullness when eating. Think of a time when you ate a snack such as a banana (mostly carbs) that lacked protein and fat. You were likely hungry shortly after. Knowing this we can use lean protein as a tool to promote a feeling of fullness and consume less overall calories if your goal is to lose weight. Protein contains 4 calories per gram, carbs contain 4 calories per gram and fats contain 9 calories per gram, making protein and carbs less energy dense than fats. When it comes to protein requirements, the general recommendation for a healthy, active population is .8g per pound per day. So for a 170lb male this would be 136g/day or for a 130lb female it would be 104g/day. Those that are athletes, may require more protein, anywhere from 0.8 - 1.2g/lb depending on the intensity of their training and their sport. There are many other factors to consider regarding protein, but this article serves as a brief introduction. We will go more in-depth in future articles. In terms of exercise, carbohydrates provide the majority of energy/fuel while performing higher intensity activities such as sprinting or lifting weights. This means sufficient carbohydrates are needed to fuel exercise on top of your daily needs for cognitive function and daily activities. We will talk about the fuel source for low intensity exercise with the next macronutrient. 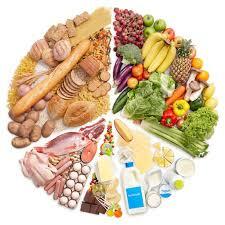 Carbohydrates are also important because they spare protein during physical activity. This means that as long as you have eaten sufficient carbs, your body will choose to use them for energy over breaking down protein (muscle tissue) for energy. 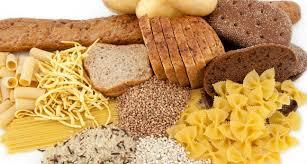 As previously mentioned, carbs contain 4 calories per gram making them the same as protein in caloric content. The general recommendation for carb intake is 45 - 65% of overall calories. So for someone consuming a 2,000 calorie diet this would equate to: 2,000 x .55 = 1,100/4 = 275g of carbs per day at 55% of calories. Of course this number can change based on individual activity levels. Fiber is also considered a carbohydrate. As with protein, there are many other aspects of carbohydrates to cover, but we will leave it here for this introductory article. Fat is our primary source of stored energy. When we eat a mixed meal of protein, carbohydrate and fat each macronutrient is processed and stored differently. Protein is broken down and stored as needed in muscle, bone, connective tissue, etc. The rest is excreted in the urine. Carbohydrates are broken down, some is used for energy and the rest is stored in the liver and skeletal muscle as glycogen. Any extra carbohydrate is stored as fat. When fat is eaten, it is broken down and distributed throughout the body for the functions listed above. Some is used for energy and the rest can be stored as fat. When it comes to exercise, fat provides energy/fuel mostly during low intensity activities such as walking and biking on flat ground. If sufficient carbs are not present during high intensity exercise, fat can be used for energy but not as efficiently. Fats contain 9 calories per gram making them more energy dense than carbs and protein. General requirements for fat intake are 20 - 35% of overall calories. So for that same person consuming a 2,000 calorie diet they would shoot for around 65g of fat per day. (2,000 x .30 = 600/9 = 67g) Again we must take individual needs and activity levels into consideration. 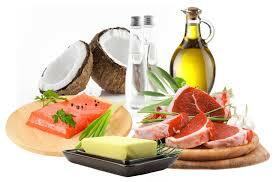 As with protein and carbs, we are just scratching the surface on fats and will delve deeper in future articles. This article serves as a brief introduction on macronutrients, what they are and the functions they serve. After all, macronutrients are what we eat, so its important to have a general understanding of them. The next time you go grocery shopping take a look at some of the nutrition fact panels on some of the products you buy. This will help foster a better understanding of the make up of the foods you eat. Feel free to ask any questions you may have in the comment section below. If you found this article helpful don't hesitate to share it. Please excuse me, time to go eat some macros. Until next time my friends, BE ELITE!